Few places can match the tranquility and untouched natural beauty of the Seychelles. A veritable Garden of Eden, these dreamy, palm-fringed islands are a very special destination. This archipelago of 115 stunningly beautiful islands is located 1600km off the east coast of Africa and four degrees south of the Equator. Picture deserted, pristine dazzling-white beaches, turquoise lagoons, gentle lapping waves and swaying emerald green coconut palms. And warm tropical breezes, lush forests, indigenous birds and stunningly colourful underwater life are just a few of the attractions. Each of island is unique and exhibits an individual charm and personality. Island-hopping is the best way to explore. Take a day excursion to one of the many inner granite islands or enjoy a stay at an exotic-island hideaway resort. Since Air Seychelles provides good, reliable inter-island connections, getting around is easy. Alternatively, you may prefer to island hop by helicopter. 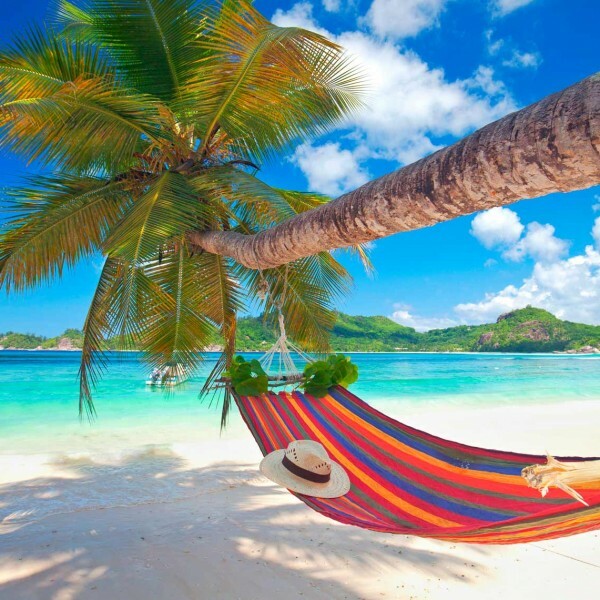 Accommodation-wise, the Seychelles offer some of the world’s most luxurious hotels. Cuisine blends a fusion of different influences – African, Asian and European. 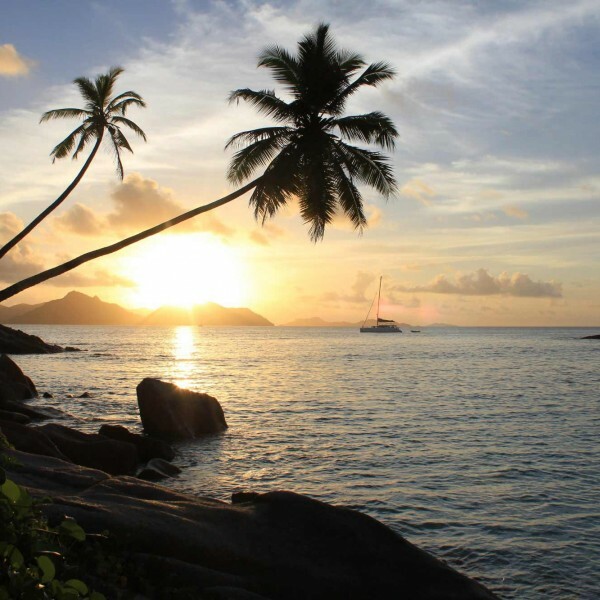 It is hardly surprising that visitors return to the Seychelles year after year to indulge in the laid-back lifestyle of these breathtakingly beautiful islands. 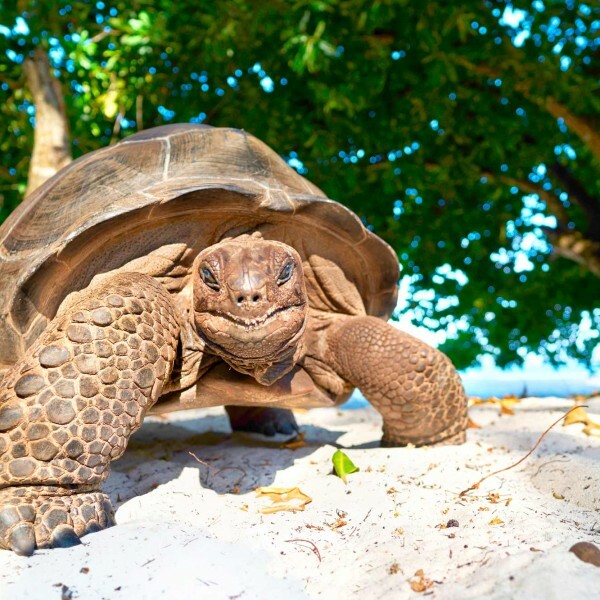 There is much more to the Seychelles than just stunningly beautiful beaches. Dense green forests roll down to meet the shimmering azure ocean. And seabird colonies teem with rare birds. Explore the warm, sapphire waters from your private charter yacht. Most of all, friendly locals will greet you with warm hospitality, welcoming you to their shores. The largest of the 115 islands and is home to the capital, Victoria. A leisurely drive around this former British colony will take approximately 2.5 hours, leaving enough time to explore the art galleries for which the island is known. The forests and mountains are host to a treasure trove of rare flora. And of course, there are stunning beaches on which to relax or enjoy watersports. Second largest Seychelles island and home to the Valee de Mai, a UNESCO World Heritage Site. This prehistoric forest is dominated by the coco-de-mer palm which produces the world’s largest plant seed. A drive around the island will take approximately two hours. And do take time for stops to soak up the legendary hospitality and stunning views. Here, time stands still. The fourth largest of the islands, here you can bask in a slower pace of life. Take a ride on a traditional ox cart whilst taking in the stunning architectiure. Enjoy the legendary friendliness of the islands, visit the stunning beaches including the breath-taking Anse Source d-Argent. Furthermore, this island is also known for its biodiversity. You may be lucky enough to spot the Seychelles’ black paradise flycatcher, waxbill, cave swiftlet and the Chinese bittern. Immerse yourself in island culture by helping with the turtles and tortoises, fishing or discovering an underwater paradise. You will find a strong eco conscience here and this island is home to many seabirds and flora. And the resident experts will be only too happy to point these out on a nature walk. A perfect year round destination, temperatures range from 24 to 32 degrees celsius. The weather is at its warmest and most humid between October and April. January and February are the wettest months when rainfall is in short sharp intervals. May to September see livelier seas with the cooling southeast tradewinds.